Special correspondent from New York, Sept 27 (Just News): Expressing concern, the United Nations Organization for Education, Science and Culture (UNESCO) urges the government relocate the Rampal Power plant to a more suitable location. This this issue came up in the daily noon briefing at UN head quarter Monday. 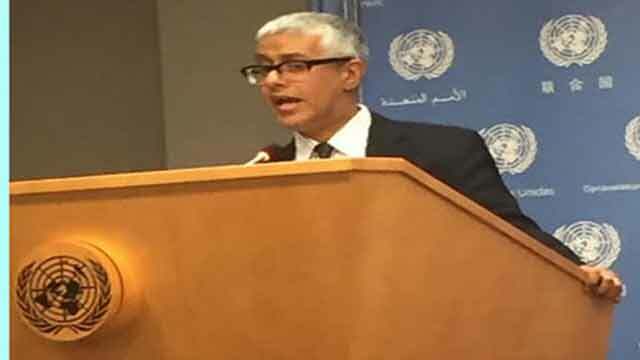 In a reply of a question on Rampal the Deputy Spokesperson of the UN Secretary-General Farhan Huq said on Rampal project "I don't have any comment beyond what UNESCO itself has said." In the briefing Mushfiqul Fazal asked, the present authoritarian Government of Bangladesh is trying to set up a coal‑based power plant near the Sundarbans, which is the largest mangrove forest in the world. And UNESCO warned the Bangladeshi Government it will affect very badly. Local and international expert told Bangladesh not to do it, because millions of people will suffer, and it will affect ecological effect badly. And I draw your attention, very recent report of the Washington Post titled “A New Power Plant Could Devastate the World's Largest Mangrove Forest”. But after the UNESCO report, the Government said they will not back from this project. So what is the present position of UN on this very bad project ecologically? In reply Farhan said, I don't have any comment beyond what UNESCO itself has said.